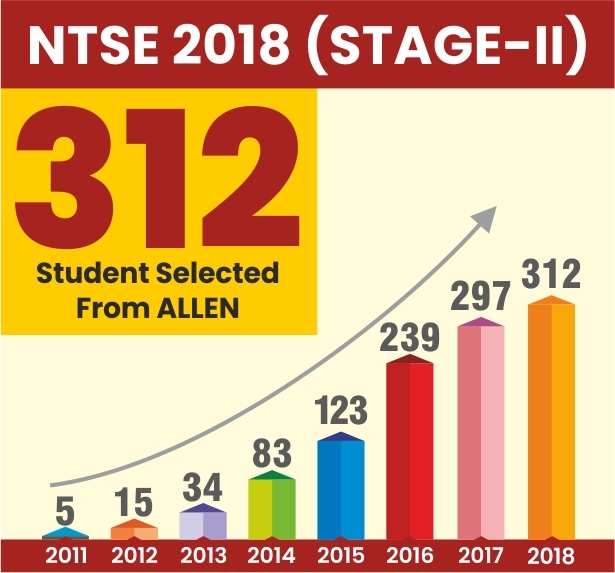 NTSE (STSE) Stage-1 2019 exam was held on 4th Nov. 2018 at various centers in Chandigarh. SCERT, Chandigarh is also Inviting Objections for the Answer Keys. Check carefully all the required steps for submitting your Feedback from. NTSE stands for National Talent Search Exam. 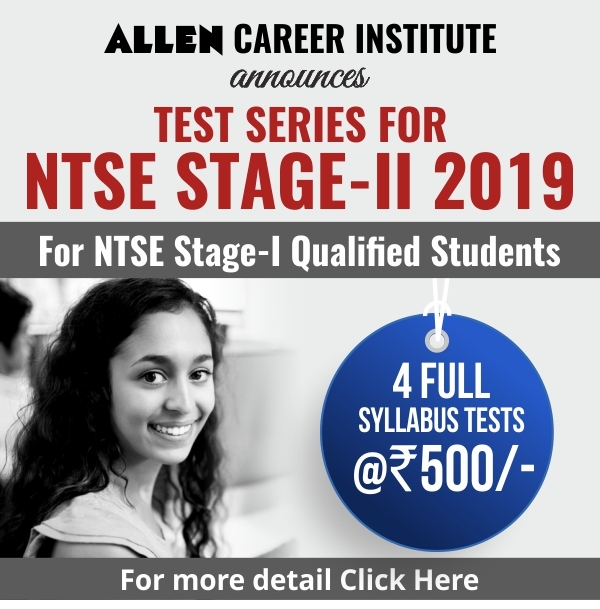 This exam is conducted annually in two stages, the NTSE Stage-1 is being conducted on State Level by respective State Education Board of Schools/SCERTs & the NTSE Stage-2 by NCERT, Delhi. Total 1000 students are selected through his exam & all the selected students are provided a monthly scholarship for their further studies up to Post Graduate level. All students currently studying in class 10th from any recognized school under Chandigarh State Education Board. Students must have minimum 61% (for General & 56% for Rest categories) in class 9th. Both the papers weigh 100 questions each with 1 marks for each right question and exam duration will be 120 minutes (& 150 minutes for Differently abled students). There is no particular syllabus for the exam but syllabi of class 9th & 10th is recommended. State Council of Educational Research Training Chandigarh has announced the NTSE Chandigarh. The SCERT Chandigarh has conducted the NTSE Stage 1 exam on November 5, 2017. Those who have passed the exam have become eligible to appear for the Stage-2 which will be conducted by the NCERT, New Delhi on May 13, 2018. Total 11 candidates have been shortlisted to appear for NTSE stage 2. There is two-stage selection process for award of scholarship. 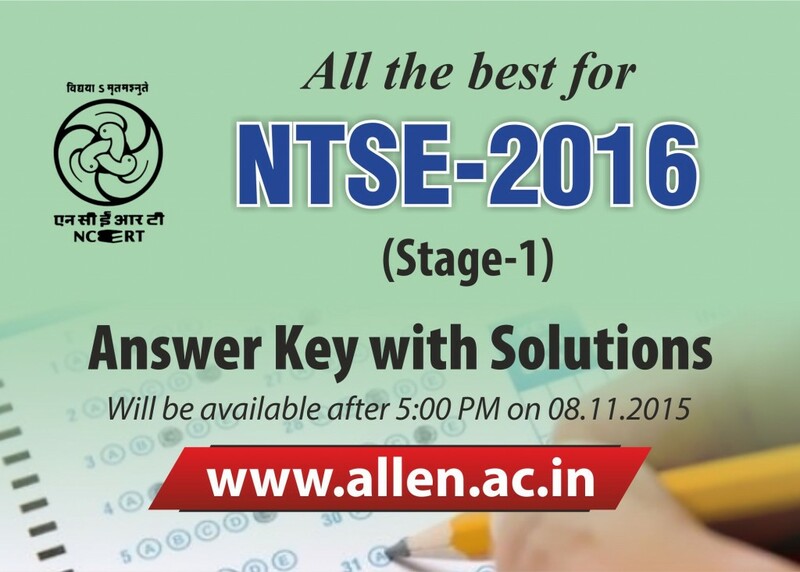 For NTSE Stage-I, Selection is done by States/UTs through a written examination. Students, who Qualify Stage- I, are eligible to appear for Stage-II examination. The State Council of Educational Research and Training, U.T. 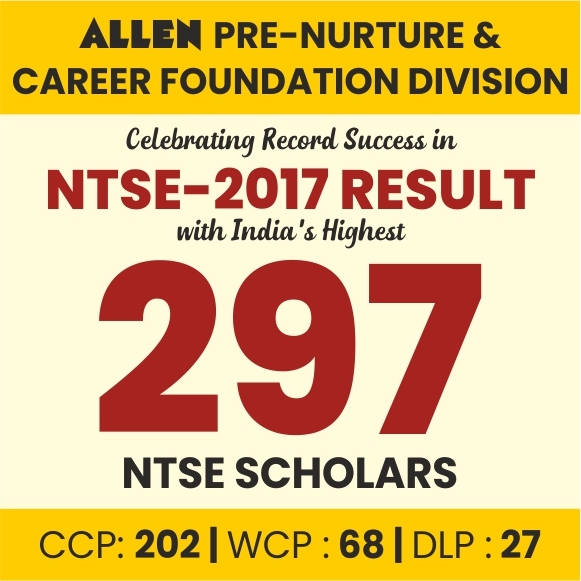 Chandigarh has declared the result of Chandigarh State Level NTSE 2016-17 Result on 17th March 2017. Only 11 students have been qualified for the National Talent Search Exam (Stage-II) 2017 which will be organized by NCERT Delhi on 14th May 2017 (Sunday). These Qualified candidates directly will get the information of exam centers and Admit Card at their home address by NCERT, Delhi. Total 9 Candidates have been selected from General Category & 2 are from SC Category. Highest Achieved marks were 146 out of 150. National Talent Search Examination (NTSE) started in the year 1963. The purpose of the scheme is to identify talented students and nurture them. This year NCERT will conduct the National Talent Search Examination for students studying in Class X. There will be two-stage selection process for award of scholarship. For Stage –I selection is done by State Council of Educational Research and Training (SCERT), Sector 32, UT Chandigarh through a written examination. Top ten students from amongst the eligible candidates (as per the reservation policy of UT Chandigarh) who qualify Stage-I will be recommended to appear for Stage II examination conducted by NCERT. Scored grade B2 and above or 61% and above marks in Class IX examination (in the academic session 2015-16) and has been promoted to class X (in the academic session 2016-17). Students registered under Open Distance Learning (ODL) will also be eligible for scholarship, provided the student is below the age of 18 years (as on 1st July of the particular year), the student is not employed and she/he is appearing in class X examination for the first time. State Quota: Union Territory Chandigarh has been allotted a quota of 10 seats for scholarship. The division of seats will be done according to reservation policy of UT Chandigarh. Application Form: Application Forms can be collected from the office of Director, State Council of Educational Research and Training (SCERT), Sector 32, UT Chandigarh or can be downloaded from the website of State Council of Educational Research and Training (SCERT), Sector-32, Chandigarh i.e. www://siechd.nic.in. All correspondence relating to application form and other details should be addressed to the State Liaison Officer – Mrs. Mamta Sharma. The completed application form duly signed by the Principal of the school should be submitted to the Director, SCERT before the last date i.e. 31st August 2016. 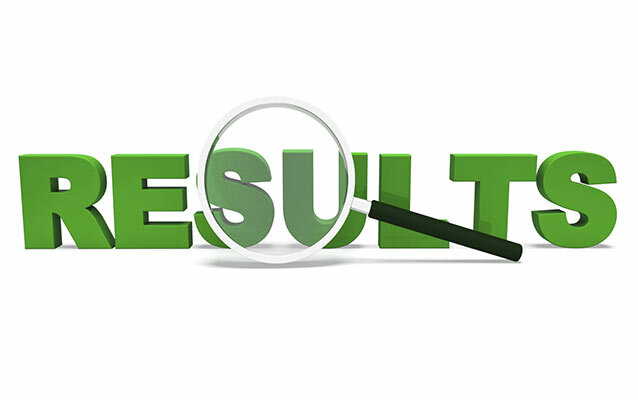 Announcement of Results: Result of the State Level NTSE will be announced by SCERT in the last week of December 2016. State council of educational research & training, UT Chandigarh has declared the result of Chandigarh NTSE 2016 on 16th February 2016 (Tuesday). The exam was conducted on 8th November 2015 on the various exam center across the city. Total 7214 students have been participated in the NTSE Stage 1 Exam held in Chandigarh.